The sole test for determining whether an accused design infringes on a design patent is the “ordinary observer” test. The ordinary observer test requires one to view the differences between the accused design and the patented design in the context of the prior art. Egyptian Goddess, Inc. v. Swisa, Inc., 543 F.3d 665 (Fed. Cir. 2008). Generally speaking, the term prior art means designs and other published documents available to the public before the filing date of a design patent. Egyptian Goddess, Inc. v. Swisa, Inc., is a seminal case on design patent infringement. According to Egyptian Goddess, when the differences between the claimed and accused design are viewed in light of the prior art, the attention of the hypothetical ordinary observer will be drawn to those aspects of the claimed design that differ from the prior art. The ordinary observer test should be applying through the eyes of an observer familiar with the prior art. Id. at 677. The reason being that if the accused design has copied a particular feature of the claimed design that departs conspicuously from the prior art, the accused design is naturally more likely to be regarded as deceptively similar to the claimed design, and thus infringing. And when the claimed design is close to the prior art designs, small differences between the accused design and the claimed design are likely to be important to the eye of the hypothetical ordinary observer.” Id. at 672. In Egyptian Goddess, Inc., the Federal Circuit reviewed a decision by the trial court granting the defendants’ motion for summary judgment of non-infringement of U.S. Design Patent No. 467,389 (the “ ‘389 patent”). 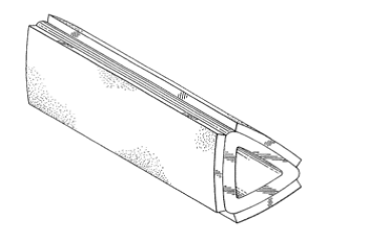 The ‘389 patent disclosed a nail buffer consisting of a rectangular hollow tube featuring buffer surfaces on three of its four sides. 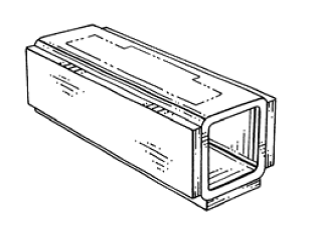 The defendant’s accused infringing nail buffer was a rectangular hollow tube featuring buffer surfaces on all four sides. The patented and accused nail buffers are illustrated below. In order to determine if the defendant’s accused buffer infringed on the patented design, the Federal Circuit sought to answer the question of whether an ordinary observer, familiar with the prior art designs, would be deceived into believing the accused buffer is the same as the patented buffer. In order to answer this question, the Federal Circuit analyzed two prior art buffer designs, the Nailco buffer and the Falley buffer. The Nailco patent was three sided hollow nail buffer with pads on each of its three sides. 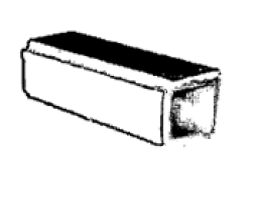 The Falley buffer was a 4 sided solid nail buffer with pads on each of its four sides. Pictures of the Nailco and Fally buffers are below. After analyzing the Nailco patent and the patented design, the Federal Circuit found that in the context of nail buffers, the accused design was not substantially the same as the patented design. The Court found that a buffer with a fourth side is not substantially the same as a fourth side without a pad when view in context with the prior art. The court reasoned that the effect of the difference features on the appearance of the design as a whole when viewed in context with the prior art was enough to affirm the district court’s ruling of non-infringement. The patent attorneys at The Plus IP Firm help businesses and innovators understand risk by evaluating whether a product is infringing on a patented design. The patent attorneys at The Plus IP Firm have helped numerous clients develop goods and services to increase their market share in highly competitive markets. To schedule a free consultation, click HERE. For more information about Derek Fahey, this article’s author, click HERE.